FINISH: This is another typically loud finish from the Quirk stable. Playful colours clash and collide, seemingly randomly to create different combinations dependent on the viewing angle. 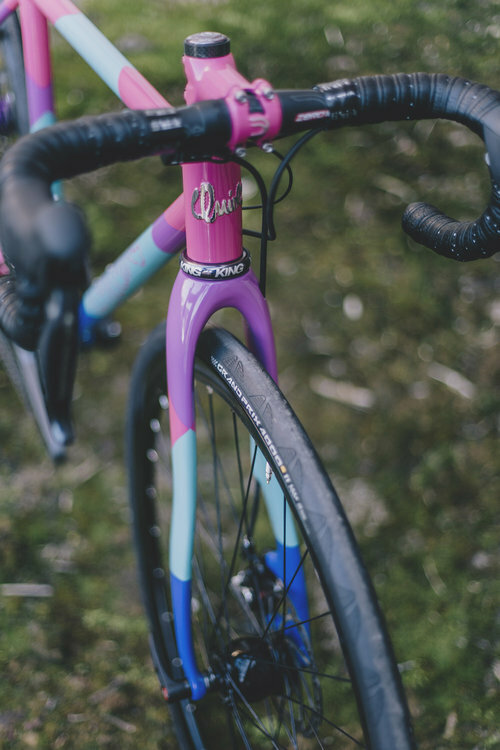 A colour-matched stem was added to into the mix to create unity. As usual, this bike also features an eyeless Columbus dove and a polished stainless headbadge.